The Country Club at Soboba Springs, located in San Jacinto, offers 32,000 square feet of space, all open to the public. Our new clubhouse features casual dining at our Signature Restaurant, The Maze Stone. Choose from our gorgeous dining room, a beautiful lounge and bar complete with an outdoor viewing bar, banquet space for up to 350 guests, terrace dining on both the Tournament Terrace and the Banquet Terrace, and a private dining room. Soboba Springs also offers our wedding arbor for a beautiful outdoor wedding ceremony. Built outdoors with views of the San Jacinto Mountains and nestled atop a lovely lake, you will not find a more spectacular setting for your wedding than here at The Country Club at Soboba Springs. 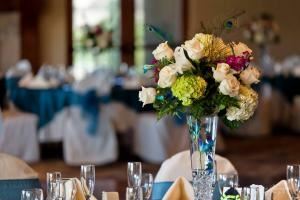 The Country Club At Soboba Springs is great for hosting variety of special occasions such as reunions, baby shower, bridal shower, anniversaries, birthday parties, corporate parties and much more.